This piece originally appeared on the University of California Press blog (October 10, 2017). In late July of this year, the Republican-led Senate’s attempt to repeal Obamacare failed rather dramatically, punctuated by John McCain’s widely discussed—and widely viewed—thumbs-down vote. More recently, another Republican-led attempt at repeal, known as the Graham-Cassidy proposal, again disintegrated due to lack of support from several key GOP senators. For at least the foreseeable future, the spirit of President Obama’s Affordable Care Act seems here to stay, but this development does not mean that women and mothers in America are safeguarded from having key components of their health care—or dignity—stripped away. For some time now, opponents of Obamacare have vehemently targeted family planning services, as witnessed by the Trump administration’s recent expansion of religious exemptions for contraceptive coverage. But, at the same time, GOP lawmakers have also argued that maternity care services are not “essential.” This two-pronged hostility—pointedly disregarding both maternity care and general reproductive health care—is somewhat curious because maternity care has characteristically been considered politically “safe,” while reproductive care—in its association with contraception and abortion—has been deemed politically “toxic.” I trace the trajectory of these two reproductive silos in my book, The Zero Trimester. I show how health-care professionals have sought to expand the time period of a healthy pregnancy from the typical nine months to twelve months, by creating a “zero trimester” period during which women are defined as “pre-pregnant.” In doing so, non-pregnant women’s health care is defined in terms of maternity care. The rise of the “zero trimester” was in part predicated on the assumption that policy makers care about mothers and babies—that they are in the “safe” zone. Yet, in a political environment that does not value maternity care or reproductive care, such an approach seems destined to fail. This approach is also unfair to women. The thrust of “zero trimester” initiatives promoted by health professionals and government agencies has been public-service announcements and health campaigns aimed at alerting individual women who are of reproductive age that they inhabit a perpetual zero trimester, and must act “responsibly.” One of the most controversial of these messages was the 2016 announcement by the CDC that all women of reproductive age not using birth control should avoid alcohol. How can we best navigate a political climate that is hostile to maternity care but that simultaneously tends to define women by their maternal capacity? Taking away women’s health care services is obviously not a step in the right direction, but neither are individual-level recommendations to women that make them feel guilty about their everyday behaviors. Comprehensive health care coverage for all potential reproducers—both women and men—across their life course is one important piece of the solution to improve health, especially maternal and child health, in America. Policies that enhance population health, such as paid parental leave or reducing toxic pollution, would also spur vast and positive change in maternal and child health in particular. The stakes are high: women in the U.S. continue to die of birth-related complications at a much higher rate than do women in other rich nations, and babies in the U.S. are more likely to die in their first year than in comparable countries. If we cease working toward social policies that value the health of all citizens—of women and men, of mothers and fathers, and of babies and children—the most fitting image for the state of health care in this country will continue to be a thumbs-down. 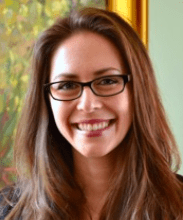 Miranda Waggoner is Assistant Professor of Sociology at Florida State University. Her research has been supported by the National Institutes of Health and the National Science Foundation.